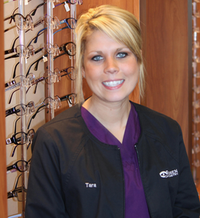 Tara wears many hats at Rosen Optometry and can be called on to step in wherever needed. She is our resident insurance expert and, like the rest of the staff, she really tries to make sure patients get the most out of their benefits. She assists the doctor as a Scribe and is a skilled technician. In her spare time, Tara likes to work out, especially by running after her adorable and active toddler.